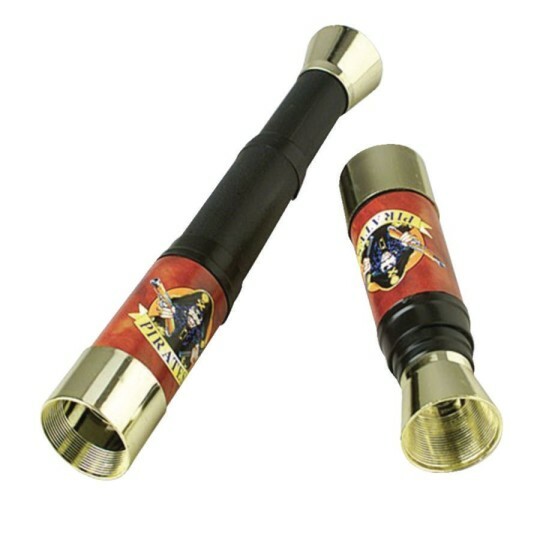 Pirate party guests can always keep land in sight with these fun party favors! Plastic reproductions of the pirates eyepiece is fun and functional. Pirate party guests can always keep land in sight with these fun party favors! This item measures 6-3/4"L when collapsed and 13"L when extended.